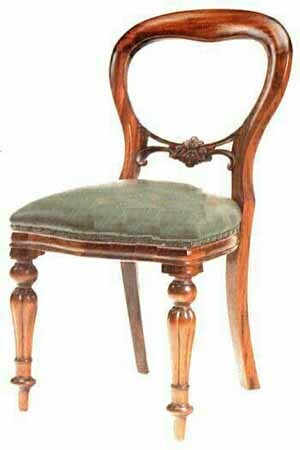 Solid Mahogany Framed Balloon back chair, with some carving and turned legs to front. Upholstery may vary. Reupholstered with your fabric for 35 euro per chair. 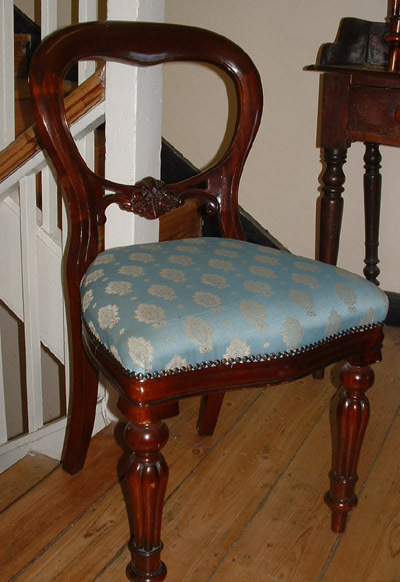 Ideal match to any of the Antique style tables.